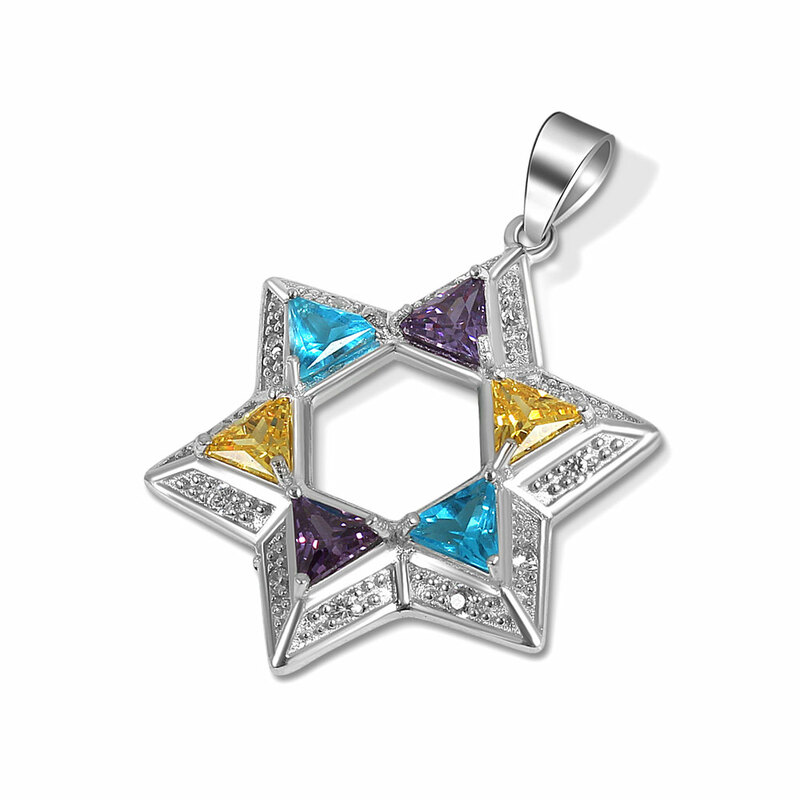 Beautiful Star of David Pendant with colored stones. A clean yet elegant style suitable for all ages. Measures: 24mm H x 20mm W (.94 x .79 inch). To order a chain along with this pendant, see the options below.